School is out and let the Winter and Summer fun begin! 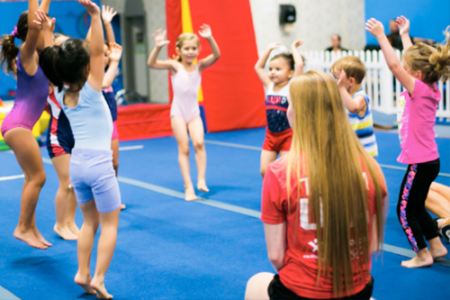 Get ready for a fun-filled, action-packed, gymnastics camp offered for children ages 3–13 years. Our day camps include a wide variety of activities to keep children moving and having fun. We are committed to not only providing your child with the most memorable Winter and Summer event ever, but to also offer a “quality” day camp program your child will enjoy and remember for years to come. Each camper will learn and participate in gymnastics, various games, arts & crafts, and interactive play in a fun and safe environment. In addition, campers will be guided through an exciting array of fun-filled activities which include obstacle courses, games and arts and crafts! We offer a variety of classes for children 12 months through the teen years. 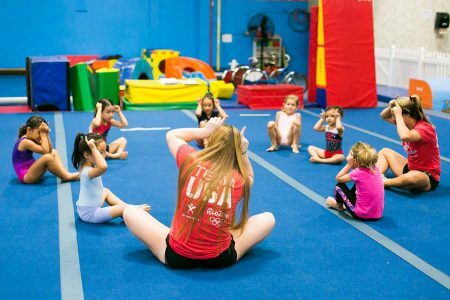 Programs include Totnastics, Gymnastics, and Tumbling. These types of classes are great for your child’s’ early motor development and coordination as well as developing their core strength and overall fitness. Please take a look at our Winter and Summer sessions along with the various activities that will be offered throughout the week.We offer a variety of classes for children 12 months through the teen years. 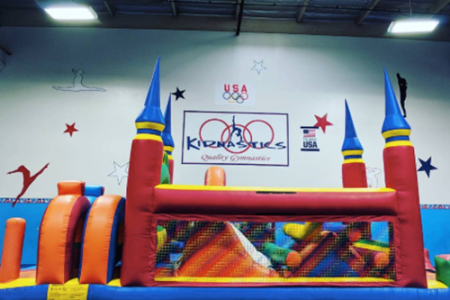 Programs include Totnastics, Gymnastics, and Tumbling. These types of classes are great for your child’s’ early motor development and coordination as well as developing their core strength and overall fitness. Our experienced camp staff provides instruction for both gymnastics and cheer. They also enforce safety in every aspect of each activity to ensure each camper’s safety and well-being throughout the week. Campers are grouped according to age and skill ability with specifically designed curriculum for each age group. *Must be potty trained. Online registration and payment is required in advance for all camps.